UAE telecommunications provider, du (EITC), plays an important role in the development of Dubai's smart city vision. 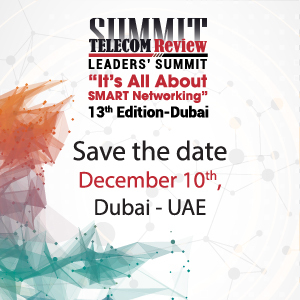 Vice president of business development and partnerships at du, Jihad Tayara, told Telecom Review the Dubai Pulse Platform by Smart Dubai is the digital backbone and 'beating heart' of the city. 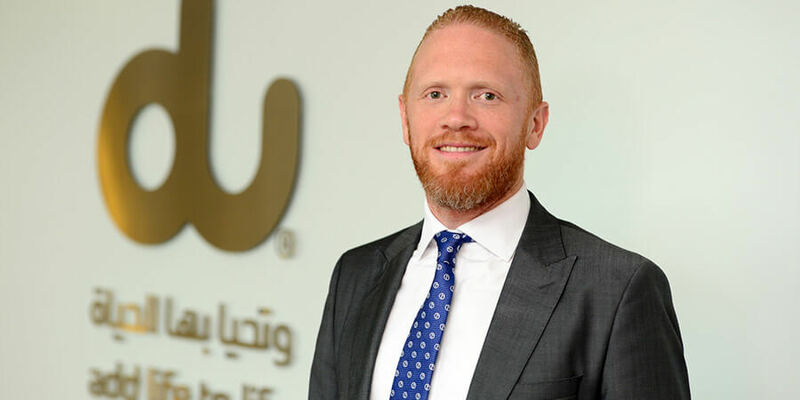 Tayara outlined the role du played in the development of the Dubai Pulse Platform, and said du will continue to add new technologies to the platform as the market evolves. Dubai Pulse is one of the cornerstones of Dubai's smart city initiative. Can you outline the role du has played in the development of the platform? Dubai Pulse is one of our major projects that we're focused on and that we've really afforded a lot of attention to especially when the tender was announced two years ago. Our role is to provide the whole architecture and platform to build it, design it and operate it end-to-end on behalf of the Smart Dubai Office. The Smart Dubai Office launched a tender two years ago and they shared their intention and their blueprint that they were interested in pursuing. So we formulated a design specific to what they were looking for, and we won the tender based on our proposed solution and our vision for the Smart Dubai Platform which was later renamed the Dubai Pulse was to be developed. We launched the platform, built the platform and we're currently operating the platform, and we're also offering services on behalf of the Smart Dubai Office. We offer the services to a lot of government entities and to the private sector. It's the biggest public-private partnership with a government entity in that area. You've previously claimed that the Dubai Pulse will revolutionize the city and will be the digital backbone of Dubai. However, are you planning to add new technologies to the platform? Yes, we keep adding as and when needed. The blueprint provided by Smart Dubai at the beginning keeps changing and evolving due to the requirements of the market. When we say it's the digital backbone of Dubai, we really mean that this will be the beating heart of Dubai. It's the beating heart that will collect every single bit of data, and this platform would not be a real digital backbone, or a pulse of the city, without the decree from His Highness Sheikh Mohammed Bin Rashid Al Maktoum, vice president and prime minister of the UAE and ruler of Dubai, in relation to the creation of the Dubai Data Establishment (DDE) initiative. This allows us to host every single bit of data of Dubai government entities on this platform. You can imagine this will have all that information on that platform, and from then on we can start building on the services. The platform is changing because we're seeing different requirements from different entities and we're amending and complementing the platform. For example, we recently announced the addition the SAP IoT platform on the Dubai Pulse platform. 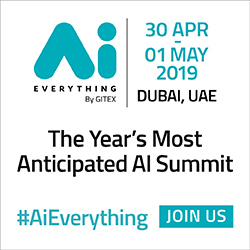 In addition to this, there are other things that we're currently working on with the Smart Dubai Office that will be announced soon. It's a living platform and in the new digital world of technology you can't claim to have built something and say it serves all your needs. It has to evolve. Can you tell me about your involvement in the development of Dubai Silicon Park, which is another high-profile smart city project? The Dubai Silicon Park is the new development in the Dubai Silicon Oasis area, and we've been selected by Dubai Silicon Oasis as the main systems integrator for all their smart services. This is a Greenfield project and development and we're delivering more than 25 smart services. We're delivering services from the simple elderly services that are needed but are low profile compared to the high visibility digital signage, digital smart parking and smart lighting. It's really an end-to-end digital and smart experience that we're building in the Dubai Silicon Park. How important is it to have affordable and efficient connectivity to support smart city initiatives and services? Connectivity is at the heart of everything we do. When I say connectivity people automatically think about high speed. Yes, it is high speed, but it's also a combination of everything - because you can't have a smart city without having a connected world. We're doing everything we can from our current LTE coverage. In addition, we were the first in the Middle East to deploy LORA, and the first to establish 5G labs in relation to our involvement with the Dubai Silicon Oasis project. It's the first 5G lab in the region, and we're working with a lot of universities and academics to strengthen that ecosystem in order to bring people to test, try and develop services there. Our primary objective of this is when 5G kicks in commercially, the ecosystem built around it, is ready to provide services. We're also very engaged and active in the NB-IoT standardization. We're driving a lot of the efforts there on the narrowband IoT strategies that are part of the GSMA association. Du recently showcased its smart identity service. Can you outline what the primary benefits of this new solution will entail? Yes, we launched the smart identity service and recently showcased it being installed in our building. The smart identity service is our overall approach to how we can improve the identity service in the region. The current implementation we're showing is actually smart visitor management. So we're trying to basically speed up the journey for building entry or for visitors entering private locations, be it businesses or any other kind of service. We're trying to accelerate this entry process from paper-based to ID-based in order to achieve a seamless smart facial ID recognition experience. We're taking this to a whole new level where we are simplifying and streamlining your experience. So instead of coming to a building and signing in and showing your ID to an employee there, what we're doing is enabling organizations to send digital invites via e-mail and SMS. The first time you have to present your Emirates ID, or any type of ID depending on the requirement to validate yourself, and you will be asked to conduct a facial ID. However, once you do this, the next time you visit the building, your face will be recognized and you will gain access without presenting any form of identification. We're living in a world where technology is becoming more abundant and more available and we're trying to put this to applications. We're trying to apply it, not to showcase technology per se, but we're trying to apply all those platforms and technologies from the Dubai Pulse platform to Blockchain services to IoT platforms, end-to-end capabilities. Basically, we're trying to present all those capabilities in order to streamline and facilitate people's lives. The end goal is to make Dubai the happiest city in the world, but to achieve happiness you have to ease every single transaction; you have to provide different ways and solutions for people to experience the city. So this is what we're trying to achieve with the introduction of the smart identity service and the Dubai Pulse. We're focusing on the experience of the service rather than just the technology. We're applying this to energy saving, time management, smart parking and smart lighting because every single addition allows an incremental benefit, or incremental saving or incremental efficiency to the residents of the city. Smart city experts have claimed that whilst technology is a key enabler in the development of a smart city, it doesn't define it. What is your definition of a smart city? There is no universal definition for smart cities. However, Dubai has always been smart and has always had richness in smart initiatives. In my opinion, a city will be truly 'smart' when all those smart initiatives speak to each other, feed into each other and will basically allow a total seamless transaction. A smart city is a city that predicts my next movement or service. A simple example of this is if I'm going to apply for any smart service as they currently are, be it for RTA or DEWA, and that service needs to know I'm applying for the service and pull out all the required documents from everybody else in the city rather than me presenting the document or uploading the document. What better way to do this than with the Dubai Pulse platform, that will have every single aspect and digit of the city hosted on it which will enable this type of experience?